The red-hat sponsored linux OS, fedora's next version i.e, 15 will be wearing GNOME 3 and not KDE. The beta version of the OS was released this tuesday. Fedora 15 users will witness a lot of changes from it's previous versions. 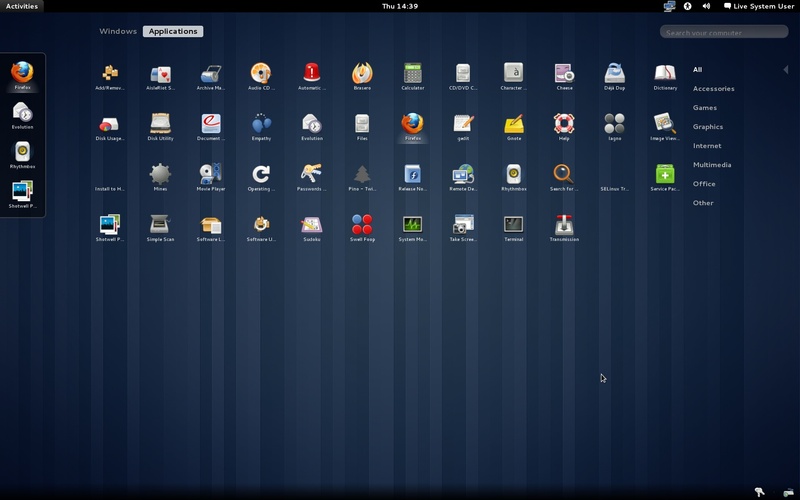 "Fedora 15 has some pretty large feature changes," said Jared Smith, Fedora project leader. "It is significantly different from the GNOME 2 desktop. It has a different way of organizing things, and will require people to get used to some things being different," Smith said. A new session manager named Systemd will be donned in this new release which loads programs and services in parallel as the computer boots up; multi core processors will be put to good use here. Fedora 15 also features dynamic firewall management, which offers the ability to make changes to the firewall without requiring a restart to the firewall software. Canonical will release the next version of Ubuntu with it's Unity environment moving away from GNOME. Fedora is also said to support Unity. Linux lovers will have to do a lot of testing in the coming month to decide which OS+environment combo, they would like to settle with. You can download the Fedora 15 beta version here. The final version is expected to be out toward the end of May.